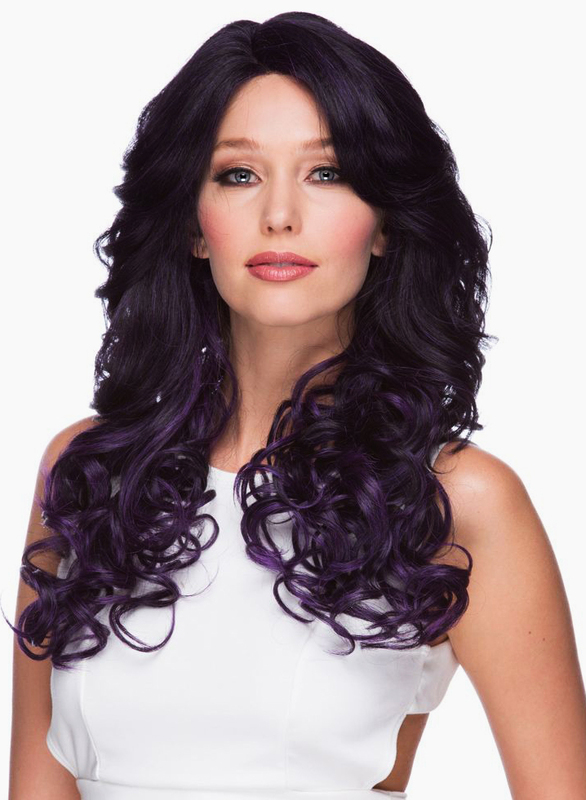 Heat safe lace front wig with long glamour curls and curved C-shaped part. Premium quality adult size wig with natural volume and texture. Side swept layers frame the face. 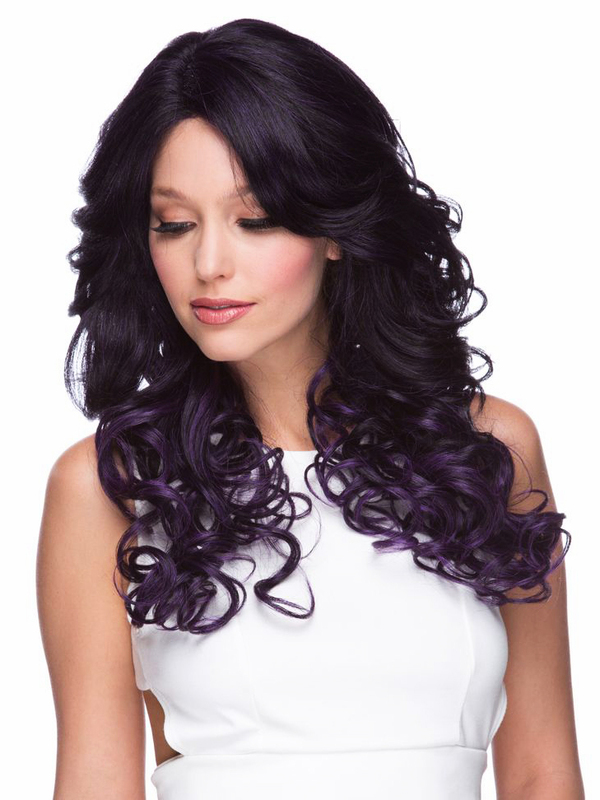 Model is wearing this wig in ombre black roots, dark purple tips blonde blend. Pin down style with C-shaped part for secure and comfortable wear.